One of the challenges of drawing human figure sketches is that it is a problem-solving activity that requires us to be flexible in our approach. Life drawing proportions will never be the same each time you draw. 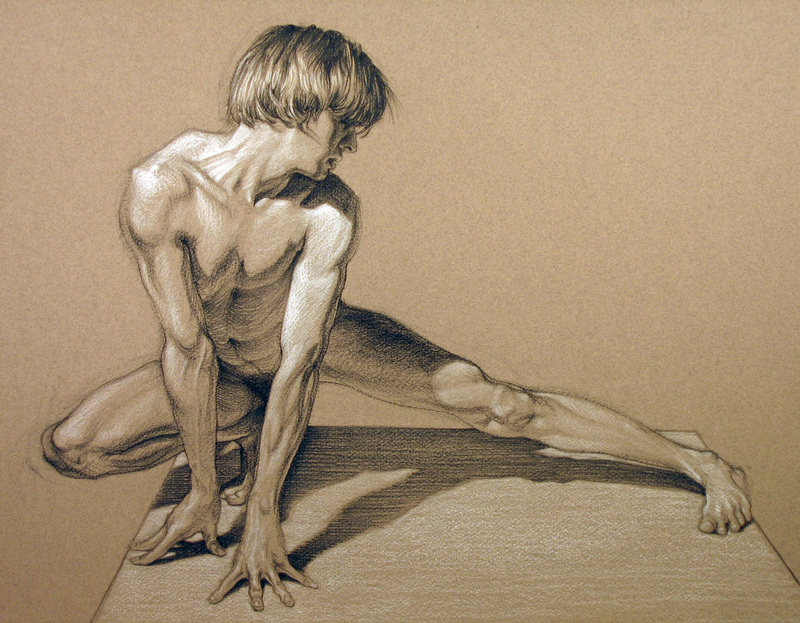 With the help of figure drawing techniques you can learn how to figure draw with ease. Imagine if you could have an app that is a random pose generator for you to use while drawing. You could enter the subject and have the app alter the figure poses with the click of a switch. I guess for now you will have to use the drawing figure doll instead until this technology becomes available. Who doesn’t love a figure drawing tutorial. I must admit there I have quite a significant figure drawing reference library on my computer and it is a must have for any beginner who is looking on how to start life drawings. There is a tonne of information on gesture drawing examples which are a great help. Having done some recent reading there seems to be a consensus that artists can draw a figure in any pose, from any angle off the top of their heads. It seems like artists are magicians, but this is a complete myth. Just like you or I they use references. Michael Hampton has a great book titled Figure Drawing: Design and Intervention. It is quite popular and is available for free online. It gives you great life drawing examples that he has used as a teacher over the years. It is also suitable for those of you wanting to get some gesture drawing practice tips as well. 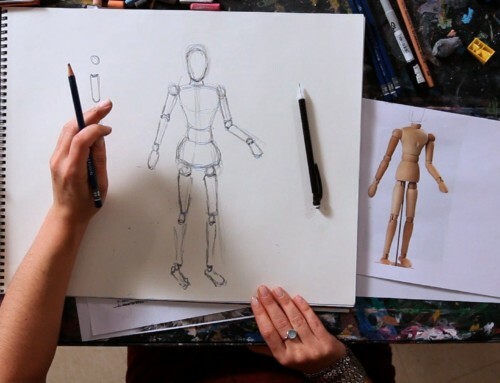 When drawing the human figure for beginners there are 2 ways to begin each drawing. They are the efficient way and the effective way. So how do you know which way to go? This will only become easier to identify over time with practice. Do some research and source out a figure drawing tutorial that uses both ways. Drawing stick figures are not just for kids. People are adding them to t-shirts, websites and all over cool things. Stick figures are basically the stick image of human figure poses and can be used for entertainment purposes to lighten the mood of artwork. Check out the video above for a quick lesson on how to draw stick figures. Stick figures are great to draw especially if you are looking for some comedic value in your artwork. They are simple to do and you can incorporate so many funny features. You can add hats, glasses and even real looking clothes and then pose them in funny positions. Who needs a drawing figure doll when you can have a stick figure. Burne Hogarth has written a great book on dynamic figure drawing. A quote from his book says “ dynamic figure drawing is the most essential – and the most difficult – of all skills for the artist to learn”. His book is great for people looking to learn this subject as he has created a system which makes it possible to visualize the forms of the human body. This is just one of the many figure drawing tutorials available on youtube. It is a short clip of only 12mins and gives you some great insight into how to draw a realistic person step by step. It is easy to follow along and gives a great life drawing example at the end. Some people may already know this trick but if you are having problems creating human figure sketches with clothing on keeping reading. Take your drawings back to basics and start off with a stick figure and use this as your drawing poses reference. It is easier to expand on the stick figure then try the whole human figure pose to begin with. Type into Google “Life Drawing Examples” and you will find a heap of information aimed towards beginner artists. Viewing examples is a great way for beginners to break through the first hurdle and mindset that learning how to draw a realistic person step by step is difficult. Like everything in life practice makes perfect. When stick figures are used in graphics online or in the media it gives a recognisable image to give the viewer a message. There is a supermarket chain in New Zealand that uses stick figures in all their marketing and an online popular comic strip. Stick figures are like the funny/laid back version of a drawing figure doll. Don’t be afraid to use them in your art. Life drawings by famous artists include Leonardo da Vinci, Michelangelo Buonarotti and Rembrandt Van Rijn. There works of art in human figure sketches are seen around the world displayed in museums so everyone can marvel and appreciate what they created many years ago. Did you know if you type into Google “Michael Hampton Figure Drawing PDF” there is a site you can grab a copy of his book in pdf form for free! He is one author who knows his stuff when it comes to life drawing examples that can help artists who are struggling to break through their stumbling block. Check out. 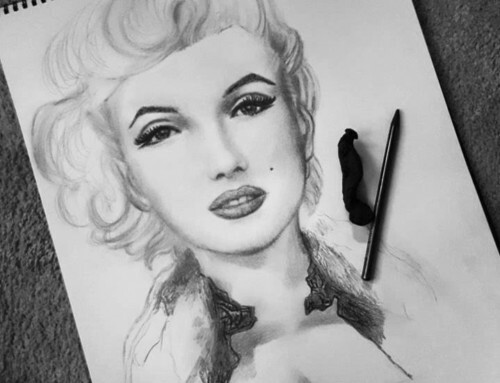 If you are looking to be a fashion designer then taking art classes would be a great idea. The problem with learning how to draw fashion figures is what you draw is completely different to the real human body form. 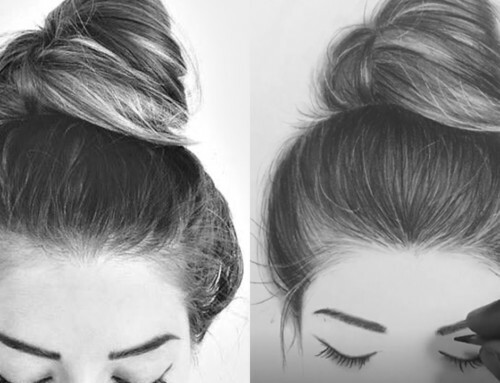 The proportions are different hence why it is called stylized drawings. By brushing up on your figure drawing techniques it can help you become a better fashion figure drawer. As you might already know, drawing a human face can be challenging as only artists with lots of experience can do so with ease. It takes a lot of careful practice which most beginner artists don’t have the time to do. It also helps to have a reference you find helpful on gesture drawing poses to get the facial expressions looking realistic. Life drawing proportion tips is a great topic to search online for. 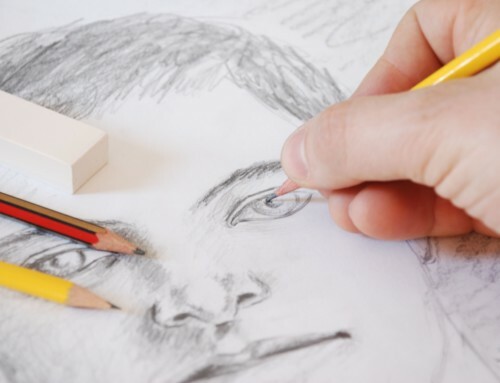 It can help make your portraits spring to life with realism. It may take a bit of extra work to bring your works of art to life but you will be rewarded for it in future drawings. If you want to improve your human figure sketches get searching today. The female form can be complex to draw compared to the male figure. In terms of drawing the male form is more bulky and chunky whereas the female has more fine lines and petite. The gestures for both forms vary and it is a good idea to practice some gesture drawing lessons if you are wanting to create drawings that feature both male and female people. Who doesn’t love figure drawing practice! Best resource I could find online was The Artist’s Complete Guide To Figure Drawing PDF. 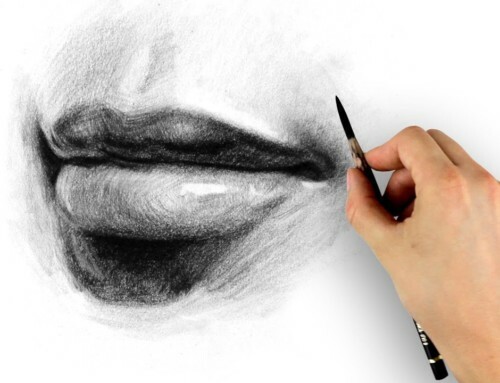 This resource is quite popular as the author gives you a wide spectrum of drawing techniques that anyone can apply to their own artwork. It’s free so have a look next time you are wanting to improve your skills. A drawing model doll is essential in improving your artwork. As the drawing model doll moves you get a completely new set of angles, shadows and lines each time. As it sits so close to you it makes it easier to see the finer details that you may have used using a portrait model or referencing an image. Andrew Loomis wrote his book Figure Drawing For All It’s Worth only after he recognised there wasn’t enough resource material on human figure sketches. He looked high and low and knew he needed to write the book to help artists reach their full potential. There are free pdf copies available on the web if you want to look. Life drawing examples are useful for drawing the human figure for beginners. I recommend all students have a folder with gesture drawing poses and life drawing examples as a point of reference. It makes so easy when you are stuck to open your folder and see where you are going wrong. It doesn’t take much to put together so have a think about doing this. Andrew Loomis wrote the book Figure Drawing For All It’s Worth. I can definitely recommend this and many students have found great knowledge from the book. The best part is there is a copy of it in PDF form available online for free. It is quite a comprehensive guide and being free I encourage you all to look at it. There is no easy way of saying this but stick figures are simply awesome. Everyone has seen a stick figure before and find them interesting and cool. The flip books people create using stick figures. I am sure you have heard/seen them. The artist puts a stick figure in the bottom right hand corner and as you flip through the book the stick figure moves around and is drawn doing funny things.